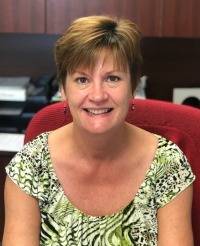 Insurance | Bridges Financial, Inc.
Jodi Lake started her insurance career in 1983 as a Personal Lines Customer Service Agent. She transitioned into Commercial Lines and went on to become a Commercial Lines Underwriter with a regional carrier. Realizing that her passion was helping clients protect their assets, she returned to work on the Independent Insurance Agency side. She obtained her Certified Insurance Counselor (CIC) designation in 2001. She holds several other insurance designations. In January of 2018, Jodi joined Bridges Financial as the Insurance Agent. Licensed in all lines of insurance, she would be happy to review your current plan anytime. We are an independent insurance agency which allows us to quote your policies with multiple different companies to get you the best coverage and price for your needs. Contact us today at 515-462-9500 or click here for a free quote.